After suffering from severe drought conditions, the City of Midland faced a water shortage in 2012. 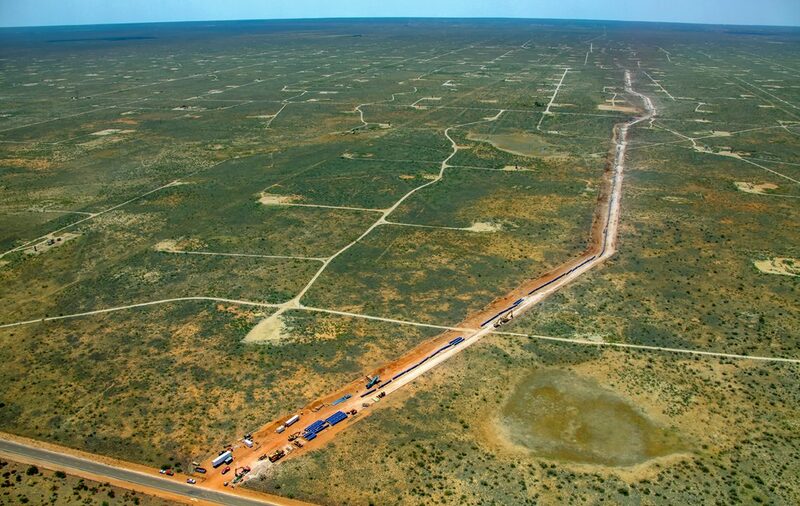 The booming gas and oil industry was attracting people to the city and water was in high demand. Two of the city’s three water reservoirs were nearly drained, and the third was only 15% full. 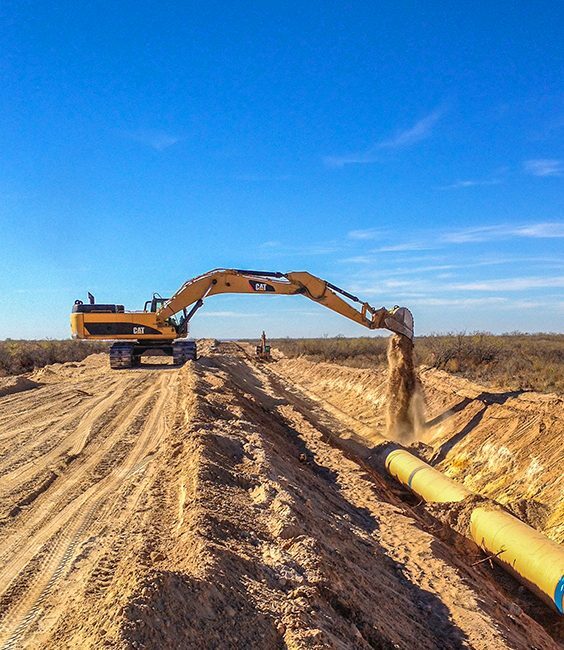 Teamed with Black & Veatch in a consortium agreement, and Parkhill, Smith and Cooper as a partner, Garney designed and constructed 60 miles of 48” transmission main and 21 miles of well field collector piping, all installed in 10 months. 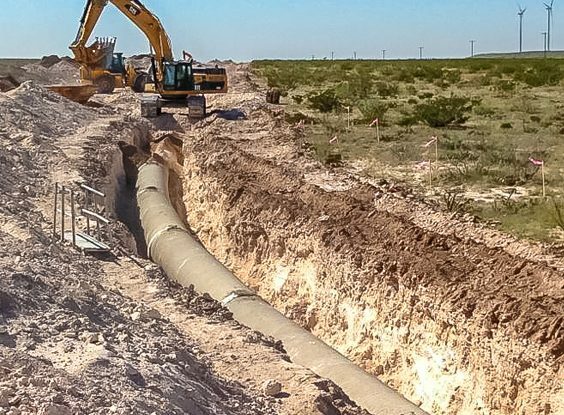 The pipe sections consisted of 205,500 LF of 48” steel waterline, 105,250 LF of 48” C303 waterline, 10,000 LF of 36” C303 and 100,000 LF of 6” to 24” PVC pipe. 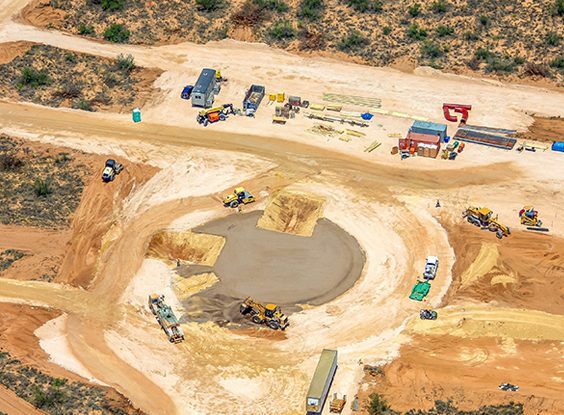 The project required nearly 200,000 LF of rock excavation, 1,750 LF of hand-mined tunnel installations, and more than 115 air release valve structures. 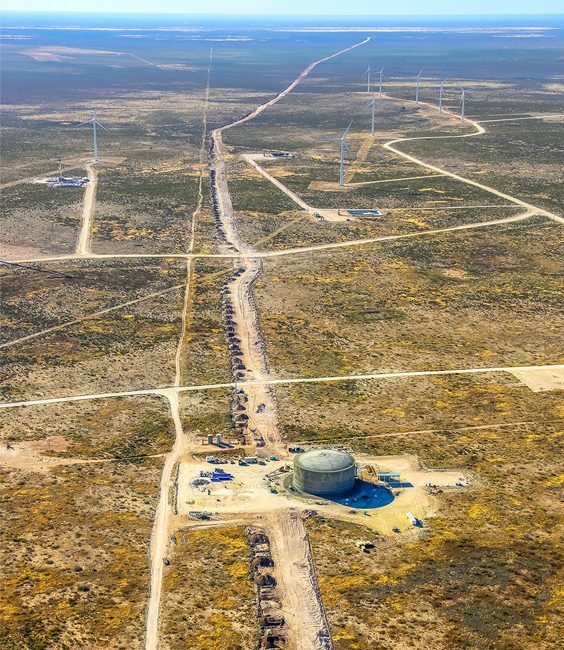 The project also included new electrical power feeds to all facilities, 44 production wells, high service pumping station, 2 MG well field ground storage tank, chlorination facility, telecommunication towers, and 5 MG intermediate ground storage tank.